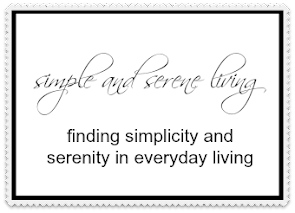 F Simple and Serene Living: what are you whispering to yourself? 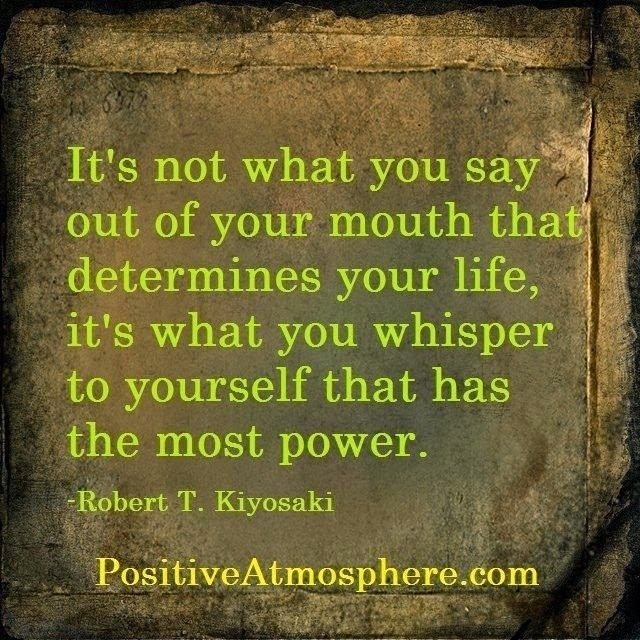 what are you whispering to yourself? This is one of those telling on myself moments. Last night when I checked my bank balance I found that I had done something I had never done before. I overdrew my account and was charged what I considered a horrible fee. I was at first very angry with myself. How could I have done that? I am so careful with my money. I live on such a strict budget. I wanted to sit down and cry. That was when I stopped myself. The words that I was whispering to myself were having a negative effect on my well being. I could feel my sense of serenity slipping away. So I changed what I was whispering to myself. I told myself that it is okay to make mistakes. We all do it. We learn from our mistakes and move forward. I felt an actual sense of lightness. So many times we whisper negative things to ourselves and those things that we whisper affect us in so many negative ways. When we change the negative to positive it can make a profound difference in our lives, both mentally and physically. I hope that you will pay attention to what you are whispering to yourself. That you will love yourself and others in your whisperings. Have a wonderful self loving day. I agree that I'm my own worst enemy with my whisper because she can be so negative. I would never allow anyone to speak to someone as my inner voice speaks to me. I've been trying to change that this year. Call the bank and ask them if they'd refund the fee since you'd not ever done this and they'll work with you. I waived/partial refund of fees more times that I can even count. I think we beat ourselves up over things we shouldn't! Our inner thoughts need to be as positive as possible. Good post Laura!! I agree. Negativity is so damaging. It helps no one. Love and forgiveness are the things that move us forward and influence others for the better as well. Yes, when we radiate out love and forgiveness from our heart, it has a profound effect on others. I hate to hear that, Daniela. It is so important that all women are role models for their children. When children hear messages of negativity they internalize them and carry them forward. I think it's only normal to be upset over something like that. Yes, we do have to realize that we are human and not perfect. It's a hard lesson to learn! I love that quote you shared. It is a great quote. Although we get upset when we do things like I did, it is important to let the bad feelings go and know that it is human to make mistakes.